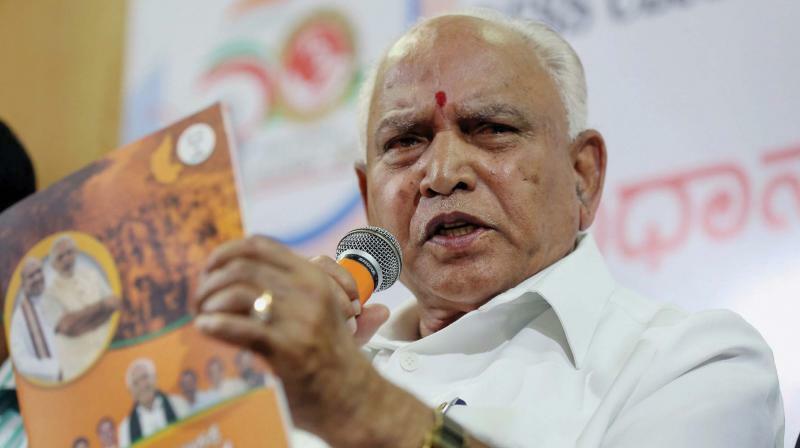 #KarnatakaCMRace - Chaos in Karnataka, as BJP Governor slides towards Yedyurappa! SIBY HERALD May 16, 2018 22:17 IST #KarnatakaCMRace - Chaos in Karnataka, as BJP Governor slides towards Yedyurappa! 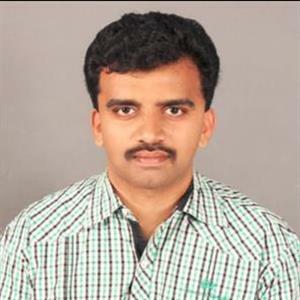 Though the Congress and Janata Dal-Secular were confident of getting HD Kumarasamy sworn in as the chief minister of Karnataka after forming the alliance, a new twist has happened in the state politics. Initially, JDS leader Manjunath was claiming that HD Kumaraswamy will be the CM, and on the other end, BS Yeddyurappa had announced that he will inform once he receives the letter from the governor. HD Kumaraswamy had also claimed of being offered money of more than 100 crores to break from the alliance, saying that BJP's horse-trading had begun, while also adding that there are BJP candidates ready to join Cong-JDS alliance. The governor had also been delaying to meet the Congress cadre, and they had waited long as quoted by Ghulam Nabi Azad. The Congress - JDS team met the governor by 5: 30 and submitted the letter with the support of 117 MLAs. Following this, the BJP members like Ravishankar Prasad and many others started accusing Sidharamaiah of defaming BJP. By 8:30, the Karnataka BJP twitter handle had posted the news that Yeddyurappa will be sworn in as the CM tomorrow by 9:30 AM. 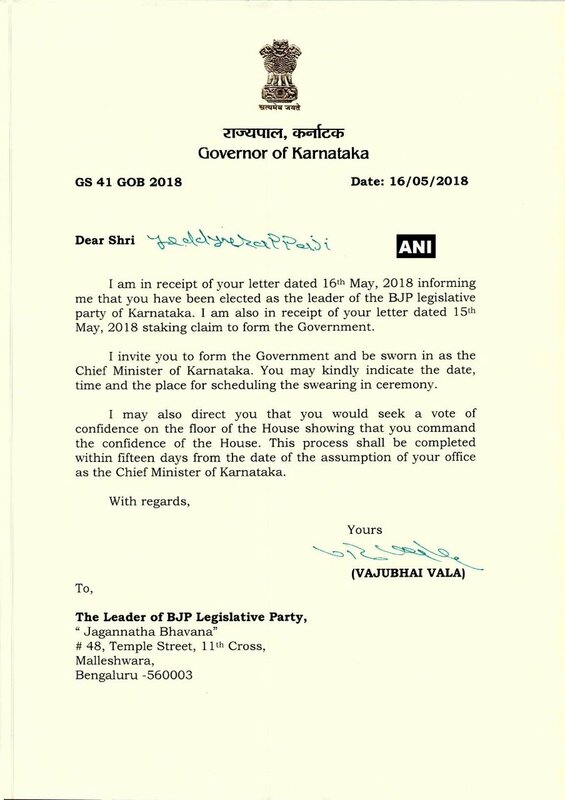 With numerous events happening, by 9:36, the popular news agency ANI had tweeted the copy of the official letter of the governor Vajubhai Vala inviting Yeddyurappa alone to be sworn in as the chief minister, and the remaining cabinet will be sworn after proving majority within 15 days of Yeddyurappa becoming CM.